Above: The Crossrail trans-London metro railway project (the Elizabeth Line) is now running two years late and £2.2bn over budget, according to reports. The Rail Sector Deal, launched in 2018, sets out how the rail industry and the Government, working in partnership, can increase the use of digital technology, boost productivity, improve the service received by those who use our railways and build the skills of the UK workforce. It is also a great opportunity to excite young people with digitally innovative careers that will shape the future of travel. Over the past 25 years, passenger numbers have more than doubled. Since privatisation, the volume of freight moved by rail has increased by almost a third; it now stands at £30bn of goods carried annually. Over the next six years, £47.9 billion is set to be spent on operation, maintenance and renewal. Currently, rail services exports totalled approximately £222 million in 2016, the last year for which figures are available, while imports totalled approximately £291 million. The UK’s rail network carries £30bn of goods annually, up more than 1/3rd since Privatisation. That growth has had consequences: much of the network is bursting at the seams. To address this, the government is investing in infrastructure, including national projects like HS2 (which will serve around 300,000 people each day) and Crossrail, the flagship rail project across London now running two years late and as much as £2.2bn over budget. Altogether, more than £48bn will be spent over the next five years on maintaining and upgrading the existing network. Crossrail (the Elizabeth Line) creates new connections and increases London’s rail capacity in peak hours by 30%. 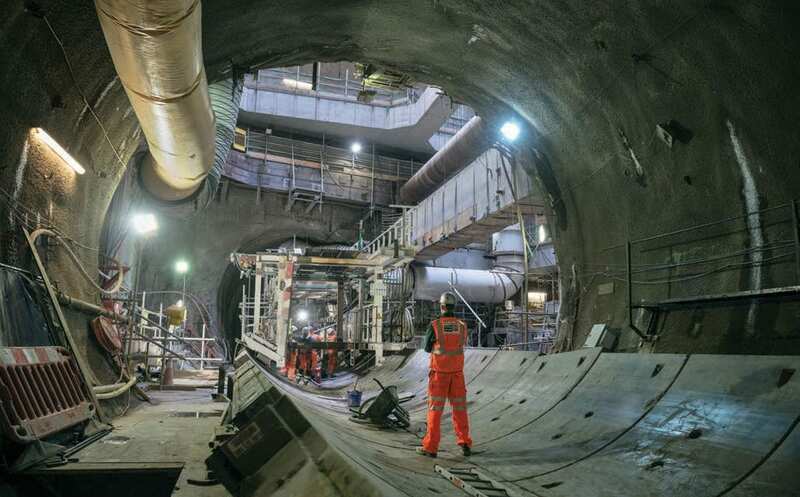 Linking Reading and Heathrow in the West with Shenfield and Abbey Wood in the East via 21km of new tunnels under Central London, it is the biggest civil construction project in Europe today. The tunnelling project used eight 7.1m diameter tunnel-boring machines from Herrenknecht AG (Germany), weighing nearly 1000 tonnes and each over 100m long. 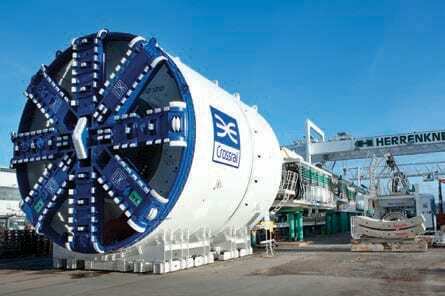 One of Crossrail’s eight 7.1m diameter, 1000-tonne and 100 metre-long tunnel-boring machines from Herrenknecht AG (Germany). Currently, the rail manufacturing industry relies heavily on long-term rolling stock replacement contracts, with long lead times and periodic payments throughout the manufacturing process, and a balloon payment when the project reaches completion. This creates revenue and profit volatility. Over the five years to 2018-19, industry revenue is forecast to increase at a CAR of 6.5%, to £2.3bn. Although almost all significant rail manufacturing capacity in the UK is overseas owned, just two, Bombardier and Hitachi, account for two-thirds of industry revenue between them. Siemens also has around 4,400 employees working in rail and wider transport-related jobs. 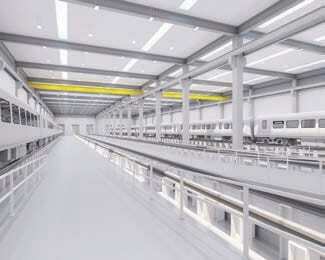 Siemens has signed a long-term lease on land in Goole, Yorkshire, to build a £200 million railway rolling stock factory. Hitachi Rail Europe has opened a new £5 million building at its Newton Aycliffe train factory located in County Durham, increasing Hitachi’s total investment in the site to more than £100m. The facility manufactures intercity and commuter trains using Japanese bullet train technology. It is currently engaged in building the Azuma HST (High Speed Train) fleet for the East Coast Mainline under the UK’s £5.7bn Intercity Express Programme, and 70 new Class 385 trains for ScotRail. Hitachi owns 70% of the Intercity Express fleet that serves the Great Western line between London and South Wales. According to The Times (October 2018), it is seeking offers for part of its stake, trying to cash-in on booming demand for the new trains among infrastructure investors. 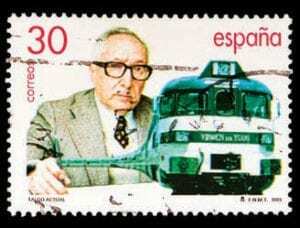 The trains were built by Hitachi under a 27-year PFI deal that includes their maintenance. These HST contracts – Great Western and East Coast Mainline – will cost taxpayers about £7.7bn over their lifetime. The main barrier to entry into the industry for other players is the tendering process. With up to five or six global companies placing bids for new projects, new players struggle to compete. They lack proven experience of delivering projects on time and at the lowest cost. They will not have an established brand name or the reputation of being reliable and able to provide maintenance and support services. 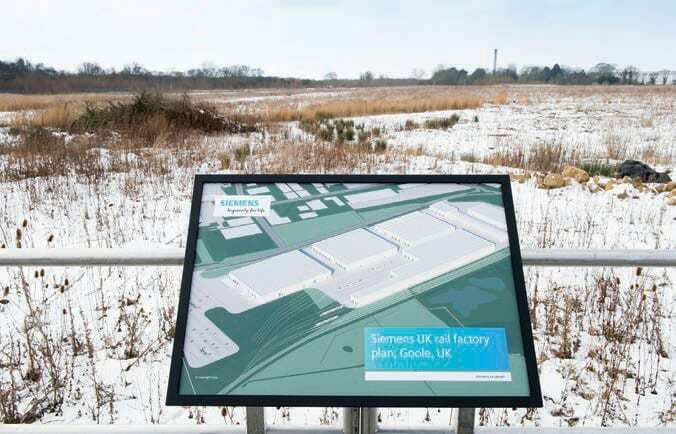 Siemens has signed a long-term lease on land in Goole, Yorkshire, to build a rail factory that could mean an investment of up to £200m and create up to 700 jobs. The new plant will feature manufacturing and commissioning buildings, warehouses, offices, and stabling sidings, with potential for the development of a test track. It was announced in June that a £1.5bn contract to build 94 new Piccadilly Line trains had been awarded to Siemens by TfL. The new trains are part of London Underground’s “Deep Tube” upgrade programme to modernise the Piccadilly, Bakerloo, Central and Waterloo and City lines. They will replace the 1970s-built Piccadilly line fleet which Transport for London said was “increasingly unreliable and expensive to maintain”. The new trains are expected to start running on the Piccadilly Line from 2023. A legal challenge by rival firms Bombardier and Hitachi was quashed by the High Court. Spanish train firm Talgo, which designs, manufactures and services fast, lightweight trains and has bid to win the contract for HS2 rolling stock, is to build its first UK manufacturing base at the site of a decommissioned power station at Longannet, on the north shore of the Firth of Forth. Construction will take around 18 months. 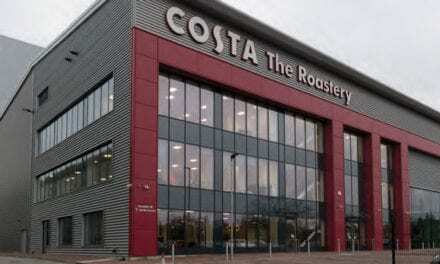 The company is also to establish an innovation centre in Chesterfield, Derbyshire, which will bring together UK suppliers. Elsewhere, Spanish company Construcciones y Auxiliar de Fethe is to build a new £30m rail production facility on the site of the former Llanwern Steelworks in Newport, South Wales, with support from the Welsh Government. It will create 300 new jobs in the manufacture of a variety of products, including commuter and high speed trains. Nearly a third of all trains in the UK run on diesel, but current levels of emissions are unsustainable and damaging to environment and health. Emissions are especially of concern at railway stations, and the Rail Safety and Standards Board (RSSB) is currently studying the concentration of nitrogen dioxide and particulates at London King’s Cross and Edinburgh Waverley stations. During his tenure as rail minister, Jo Johnson challenged the UK rail industry to decarbonise and eliminate diesel-only trains by 2040. Where overhead wires may not be practical, the potential for hydrogen trains is enormous. 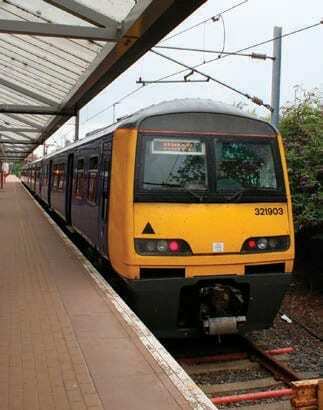 Birmingham Centre for Railway Research and Education (BCRRE) has already undertaken a significant amount of research into the potential application of hydrogen fuel cell technology to railway operations and has worked with a number of global rail businesses to identify potential opportunities to use hydrogen as a clean alternative to diesel. A Memorandum of Understanding (MoU), signed at Innotrans in Berlin, will see Porterbrook provide a ‘Class 319’ electric unit to BCRRE for conversion into HydroFlex, a hybrid hydrogen-powered train. Development work has recently commenced and HydroFlex will undertake testing and demonstration runs in summer 2019. Hydrogen-powered trains are already a reality in other rail networks in Europe. The Alstom Coradia iLint, the only operational hydrogen train in the world, is due to enter regular service in Lower Saxony in Germany. It uses fuel cells which produce electricity by combining hydrogen and oxygen, and the only emission is water. “Hydrogen train technology is an exciting innovation which has the potential to transform our railway, making journeys cleaner and greener by cutting CO2 emissions even further. We are working with industry to establish how hydrogen trains can play an important part in the future, delivering better services on rural and inter-urban routes,” said current UK Rail Minister Andrew Jones. Working alongside UK rolling stock operating company (ROSCO) Eversholt Rail Group, French rail multinational Alstom plans to bring these same benefits to Britain, by converting Class 321 EMUs to hydrogen operation, upcycling this fleet to be one of Britain’s most advanced types of rolling stock. The conversion work is expected to take place over the next three years at Alstom’s Widnes facility, with the first fuel cell trains – nicknamed ‘Breeze’ – projected to run in 2022. There are numerous routes across the country, such as the proposed route between Oxford and Cambridge, where electrification might be inappropriate, and running trains on hydrogen could be the solution to the need for low-emission, decarbonised transport. The Class 321 trains that currently run on the Greater Anglia franchise will be converted to be powered by hydrogen. Multiple deployments are envisaged and could be ready to enter service as early as 2021-22. The trains will be converted by Alstom and owned by Eversholt, which will lease them to rail operators. 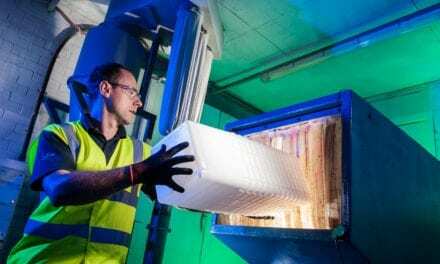 Angel Trains, one of Britain’s leading train leasing companies, has collaborated with engineering consultancy ESG Rail, and 3D printing technology provider Stratasys, to utilise Fused Deposition Modelling (FDM) Additive Manufacturing to produce four fully approved interior components. The components approved for service include an arm rest, grab handle and seat back table – all of which will now be trialled on in-service passenger trains in 2019. The aim is to exploit additive manufacturing to help address the issue of obsolete parts, reduce whole life rolling stock costs and enable vehicles to remain in passenger service for longer. 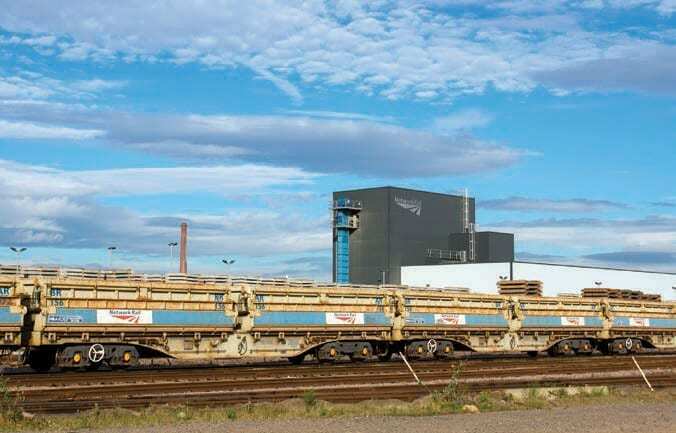 British Steel has won two multi-million-pound contracts to supply 86,000 tonnes of rail to Rete Ferroviaria Italiana (RFI), the organisation which manages of Italy´s railway infrastructure.The agreements include the delivery of 18,000 tonnes of premium Stress-Free (SF) heat treated rails. Of British Steel´s latest contracts with RFI, one is for 68,000t of its standard grade rail and the other for 18,000 tonnes of its premium Stress-Free heat-treated SF350 rails. Both deals are for rail lengths of 108m. These rails are designed for use in curved or heavy haul tracks where wear and fatigue are significant. 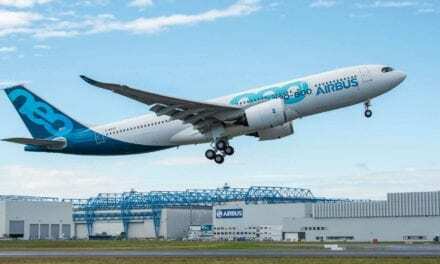 The industry is adopting composites materials at a rapid rate, with use predicted to have grown by up to 40% (£100 million) between 2015 and 2020, according to the Composites Leadership Forum. Composites are widely used in industries where the strength to weight ratio is critical. Other industries, including rail, are now moving to adopt composites at a rapid rate. Composites mean that smaller items like trench covers can be moved manually instead of requiring lifting equipment, larger items like train doors can operate faster and more efficiently, while even larger items like bridges can be built using less material reducing costs. Digital technology is playing a crucial role in improving train services. Smart technology, surveillance and remote wireless monitoring are vital for enhancing the efficiency, safety and management of operations across the rail network. A common cause of service delays and cancellations is problems with the track. Exposed to the elements, the flat bottom steel rails expand and contract in extremes of temperature. Buckled, cracked or damaged tracks need immediate maintenance which seriously impacts train services. The University is home to the Institute of Railway Research (IRR), which contributes to the EU-funded Shift2Rail research programme Smart Maintenance and the Rail Traveller Experience (SMaRTE). The project focuses on how to make rolling stock maintenance more effective: the conventional approach to rolling stock maintenance is to carry out scheduled (interval-based) maintenance, which includes visual inspection to check the condition of components. But new technologies allow maintainers/operators to continuously monitor the condition of systems and components. This technology can provide data to predict the onset of problems, leading to early intervention and more effective rolling stock maintenance. PreviousHow will Brexit Impact UK Manufacturing?